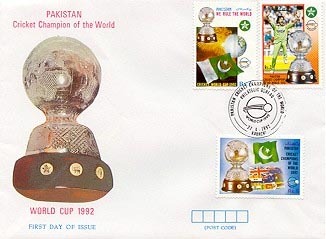 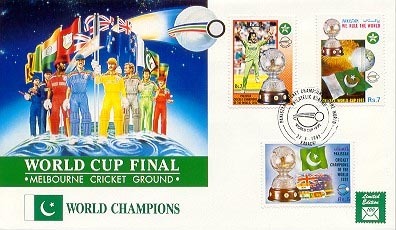 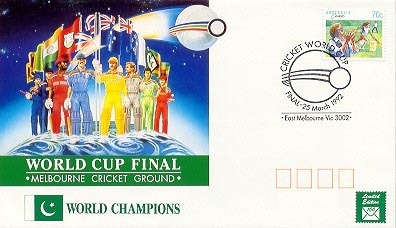 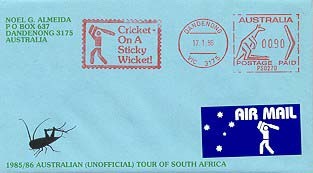 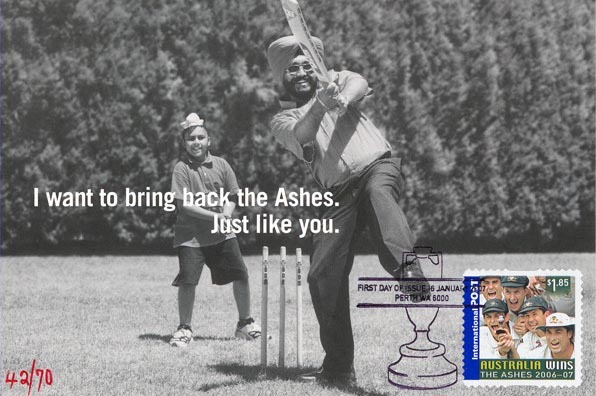 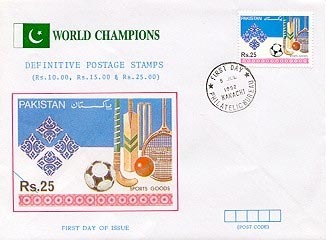 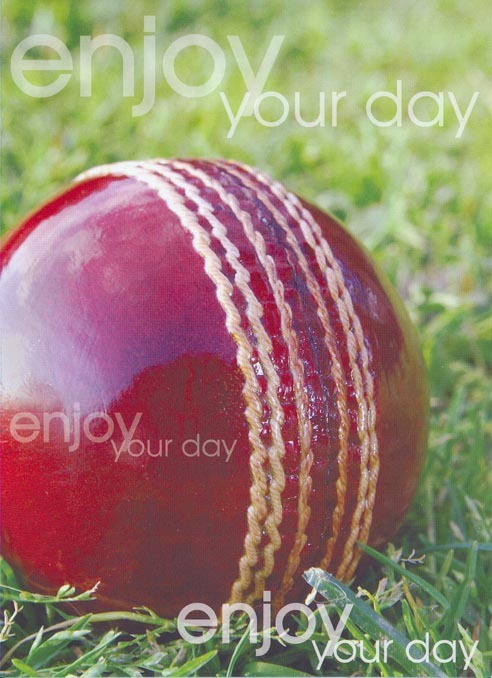 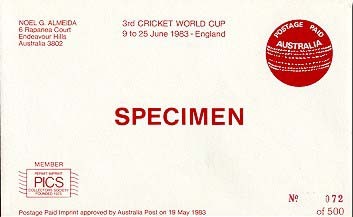 Third Cricket World Cup 1983 souvenir cover, 90 mm x 145 mm, postage paid imprint (red ball), numbered limited edition of 500, insert outlines the history of the Cup. 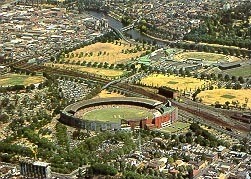 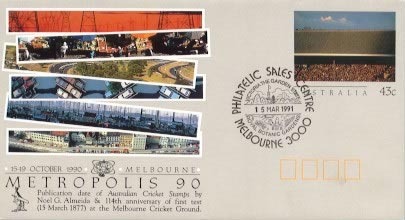 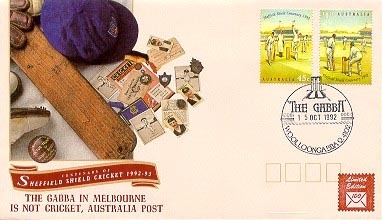 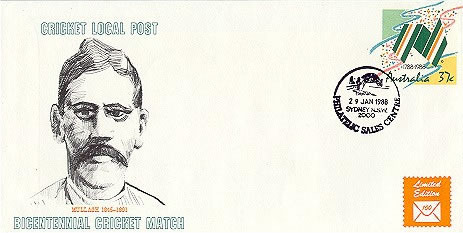 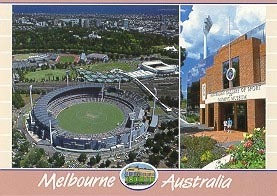 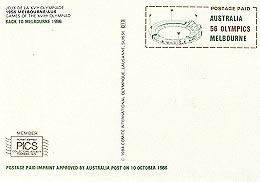 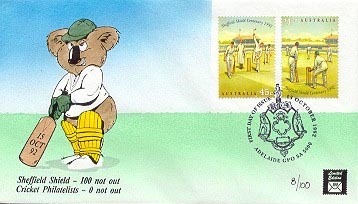 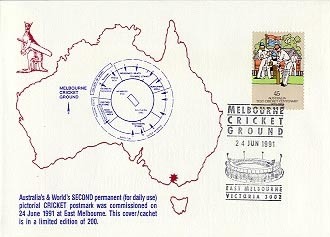 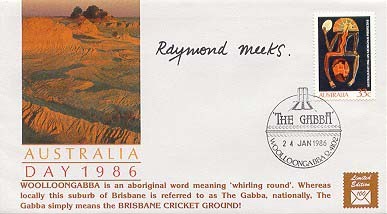 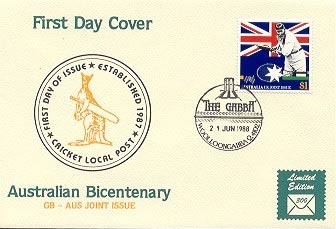 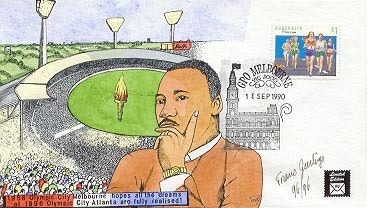 Colour postcard, 100 mm x 140 mm, of the Melbourne Cricket Ground (MCG), 18¢ Test Cricket Centenary bowler stamp, postmarked Melbourne 30 December 1981, final day of first test against the West Indies at the MCG at which Dennis Lillee passed Lance Gibbs’ record of 309 wickets, overprinted with statistics, housed in a numbered souvenir cover, autographed by Lillee, 50 serviced, very scarce, our first production. 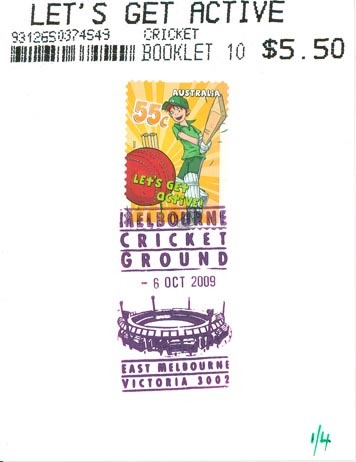 We will buy this item for $200. 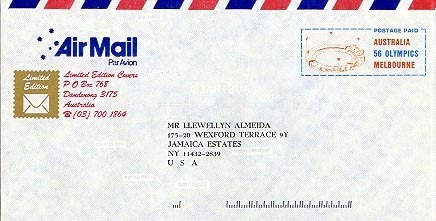 Please contact us for a prompt settlement. 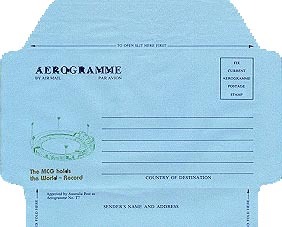 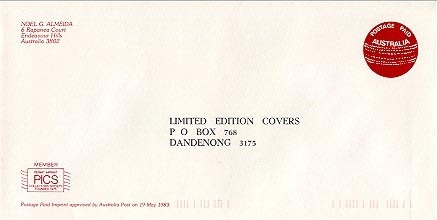 This cover is shown enlarged on the CLD02 and the CLD04 links. 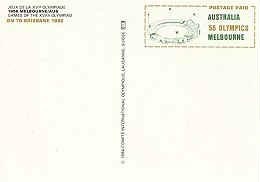 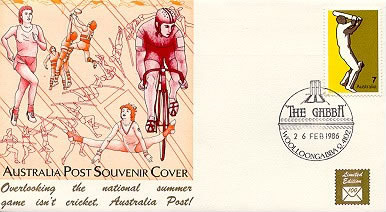 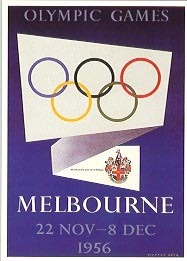 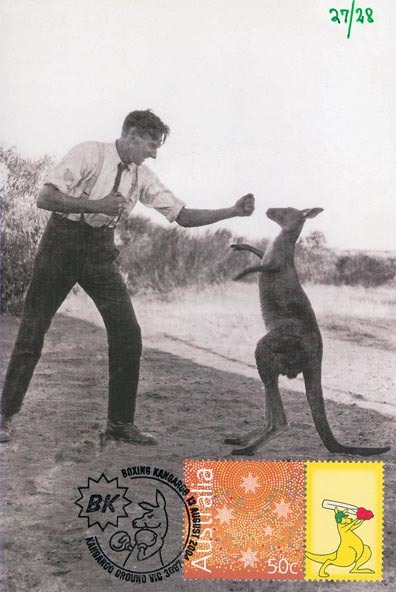 Melbourne 1956 Olympics official games advertising poster, reproduced in original colours as a postcard, 150 mm x 105 mm, by the International Olympic Committee, Switzerland, MCG/Olympic postage paid imprint approved by Australia Post on 10 October 1986, over-printed in green and gold. 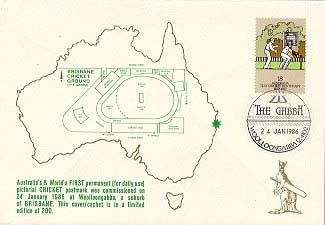 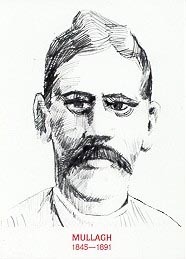 Cricket Local Post of Dandenong Victoria has commissioned Geerlings of Salem Oregon USA to do the cachet for the 25 September 2009 55¢ Test Match Board Game stamp from the Class Toys set of 6 starring John Sands. 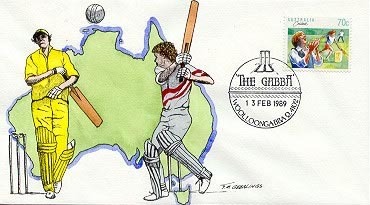 Watch this space for a classic Geerlings sports production in a limited numbered edition of 43. 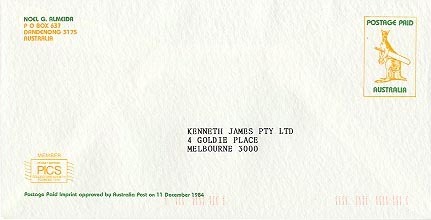 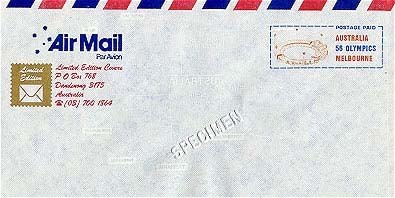 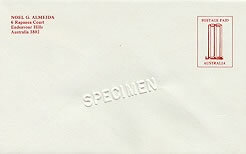 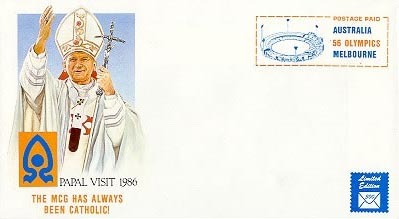 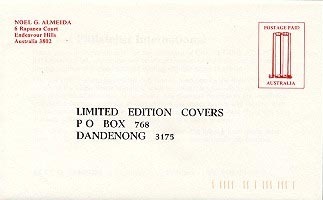 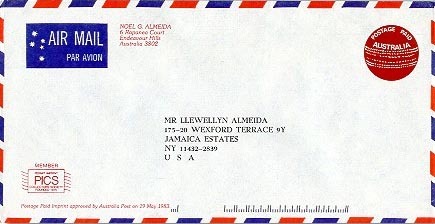 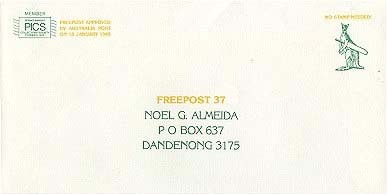 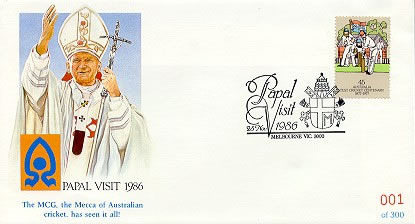 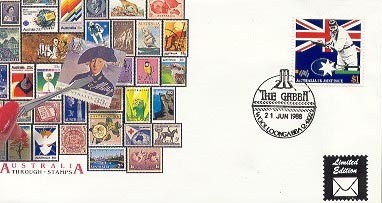 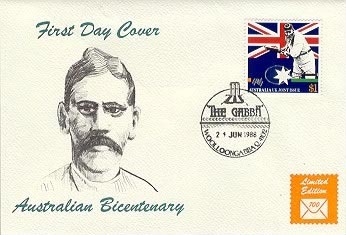 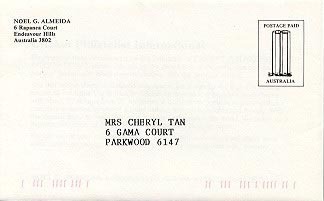 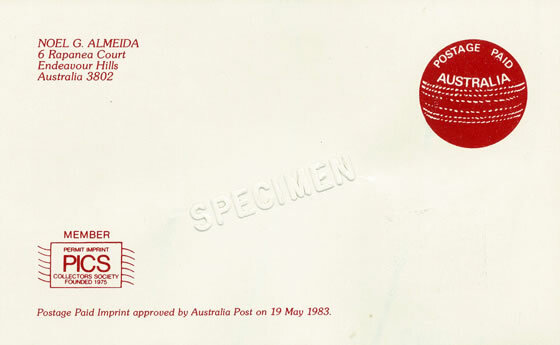 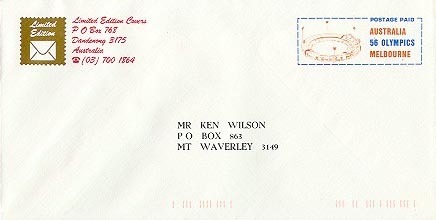 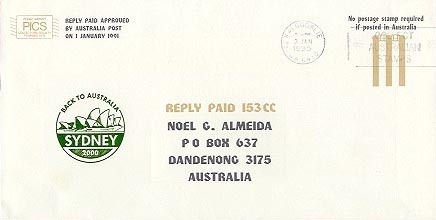 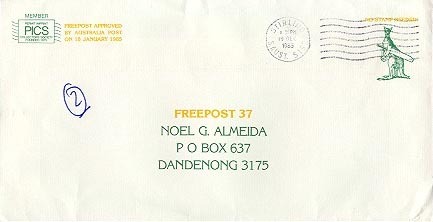 Note: Covers and address envelopes are embossed specimen.